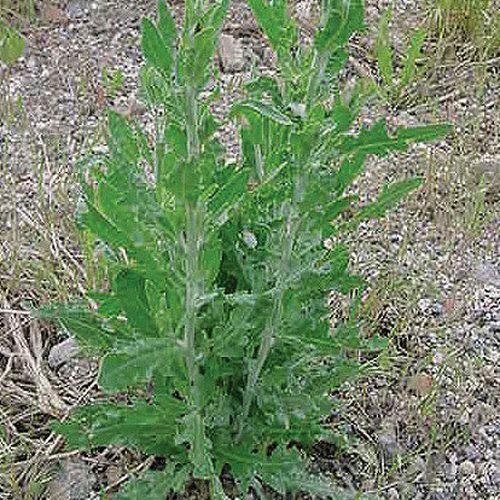 Russian knapweed is a bushy, branched perennial, reaching 1 to 3 feet tall and forming clones or colonies from vigorous, deep, spreading rhizomes. 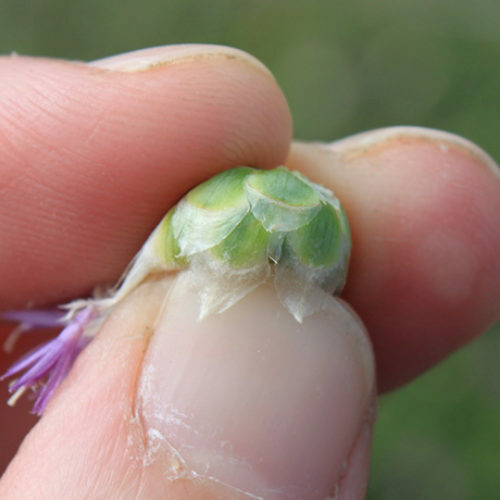 Many flower heads, pink to purple in color. 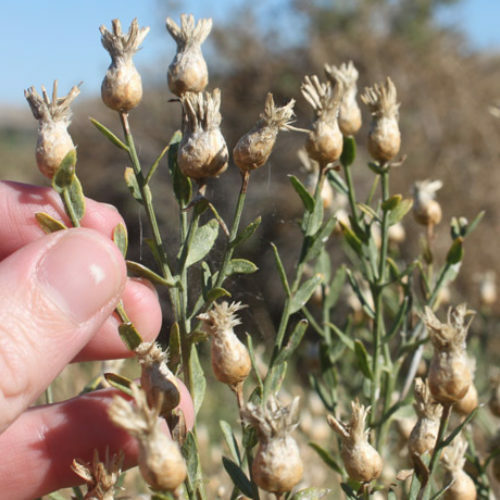 The outer bracts under the flower heads are greenish to straw colored and have a broad, papery tip. 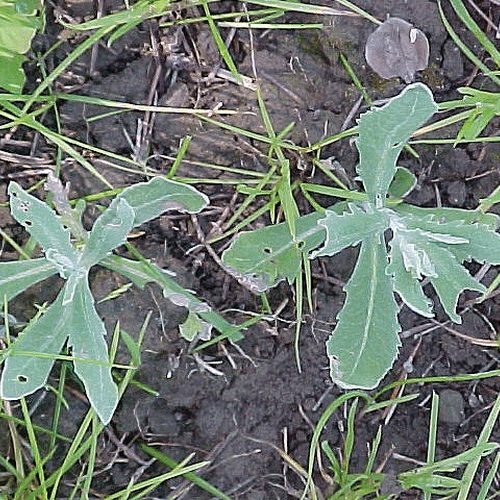 Leaves at the base of the stem (basal leaves) are gray-green and lobed. 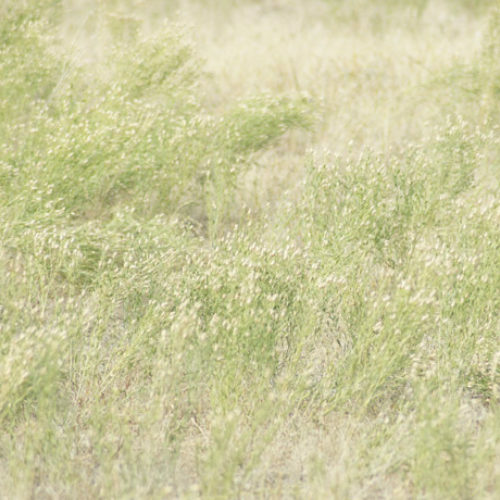 Upper stem leaves are smaller with toothed edges or entire (smooth) edges. 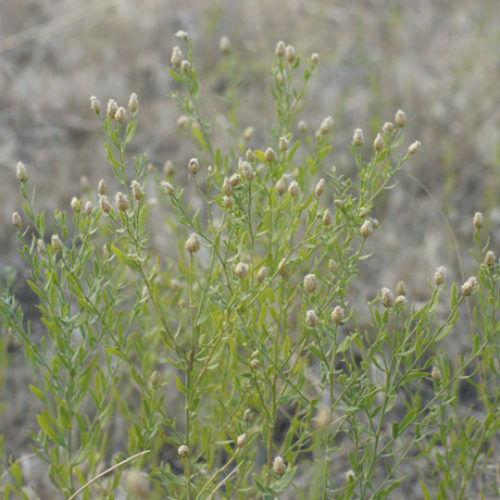 Stems are upright, branched and hairy. 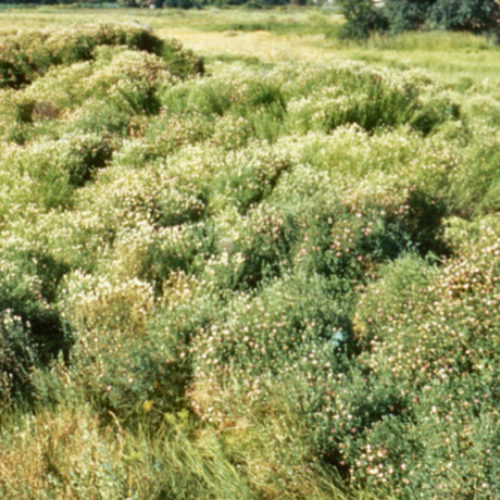 Young plants are whitish and woolly. 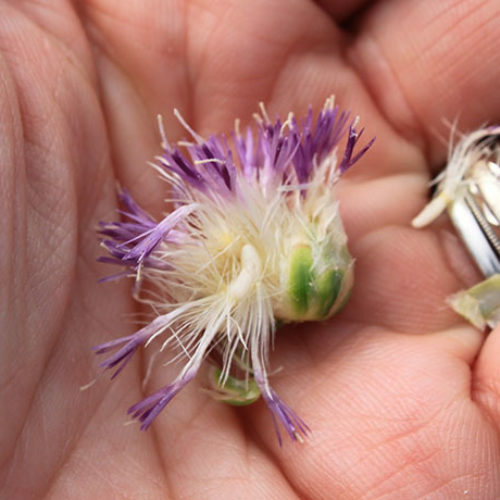 Seeds (achenes) are ivory white and have a feather-like plume (pappus). 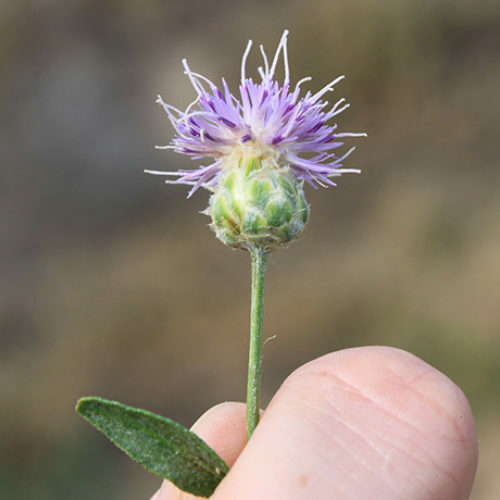 Russian knapweed is found growing in pastures, hayfields, grain fields, irrigation ditches as well as roadsides. 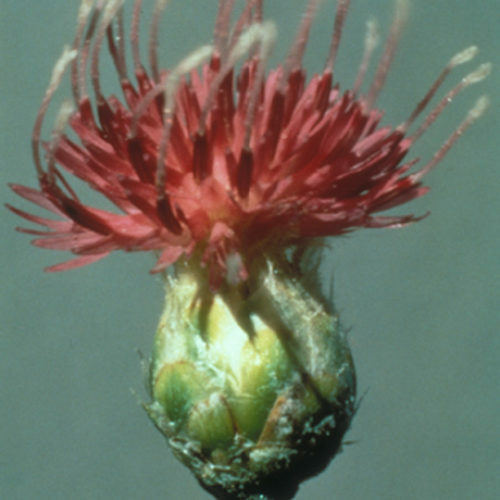 Please click here to see a county level distribution map of Russian knapweed in Washington. 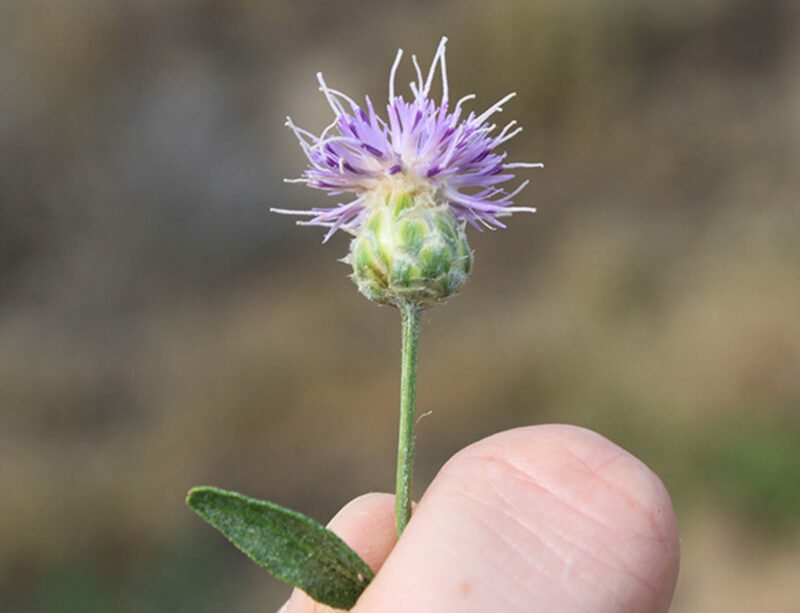 Russian knapweed reproduces by seed and spreads laterally by its root system. 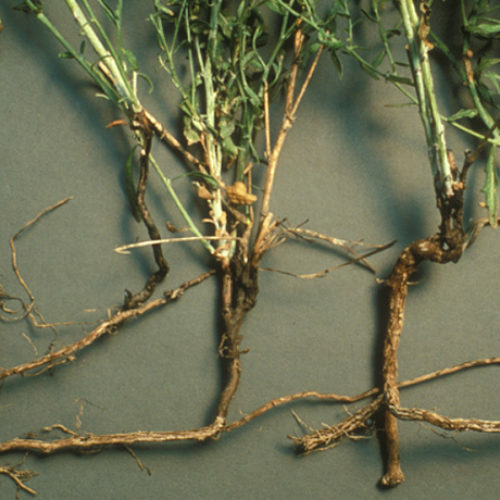 Root fragments can regenerate following cultivation. 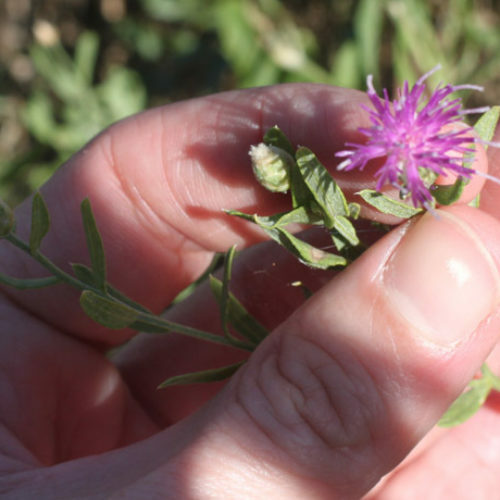 Productivity can be maximized in less time if Russian knapweed populations are treated with a suitable herbicide, farmed, and seeded to a competitive forage. 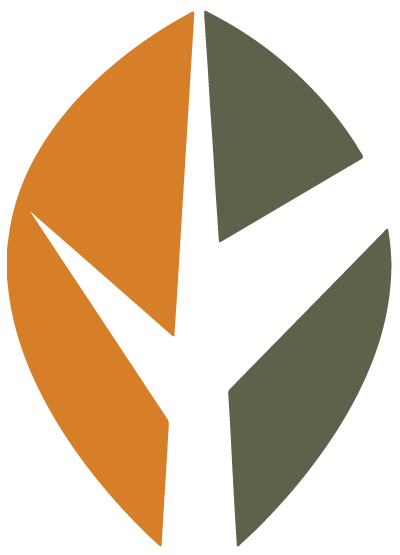 Depending on the moisture regime, nitrogen fertilizer applied in conjunction with an herbicide significantly improves the competitiveness of residual grasses. 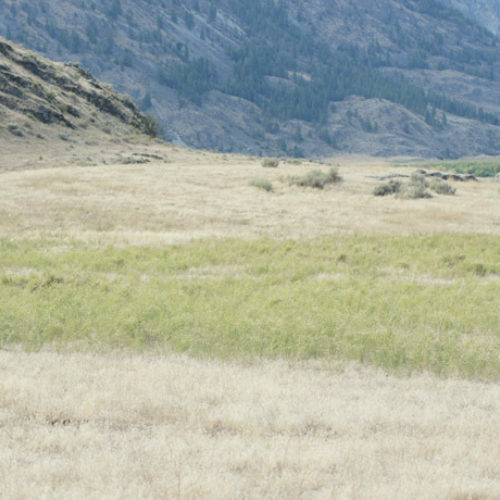 In addition, improved grazing management will significantly influence the life span of Russian knapweed control efforts. 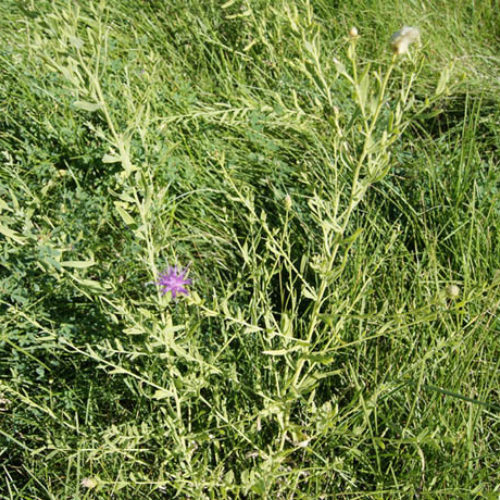 The nematode Subanguina picridis forms galls on Russian knapweed that reduce plant vigor - its effectiveness in Washington is not yet known. 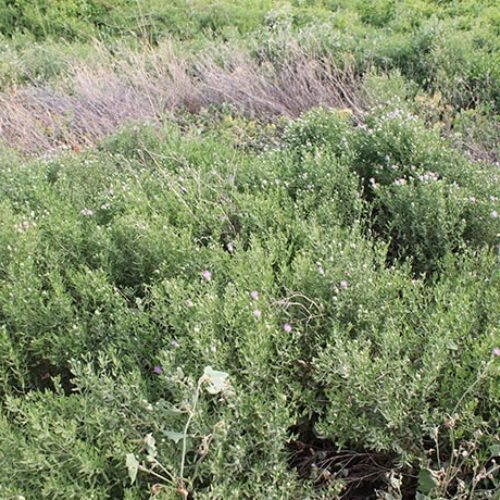 It is difficult to control with herbicide.  Please refer to the PNW Weed Management Handbook, or contact your county noxious weed coordinator. 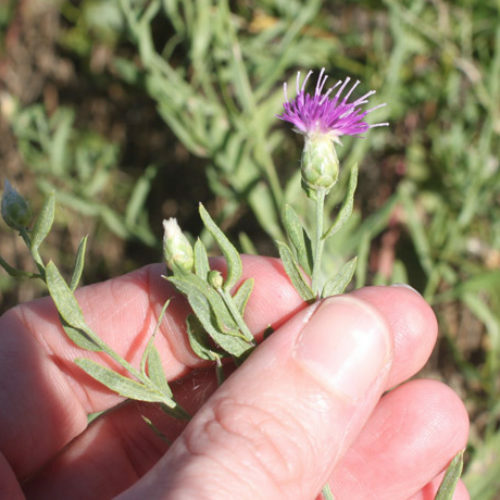 See our Written Findings for more information about Russian knapweed.